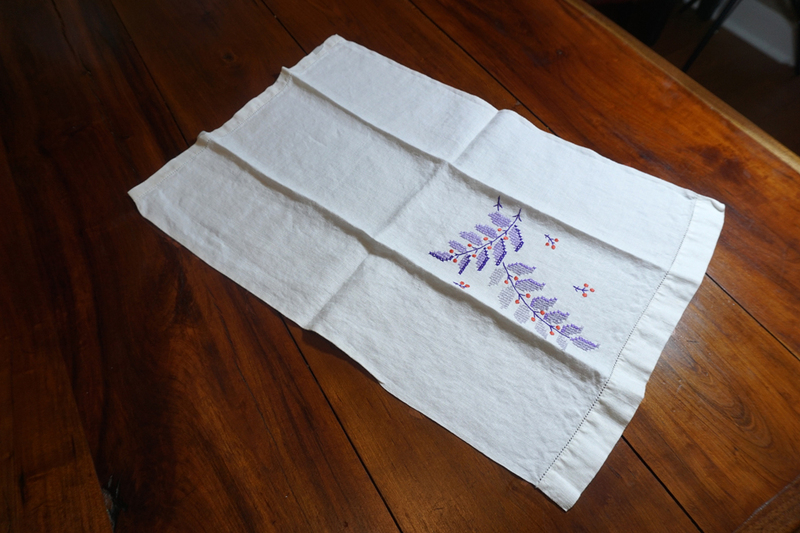 This sweet little vintage linen finger towel is just waiting to adorn your bathroom or kitchen. 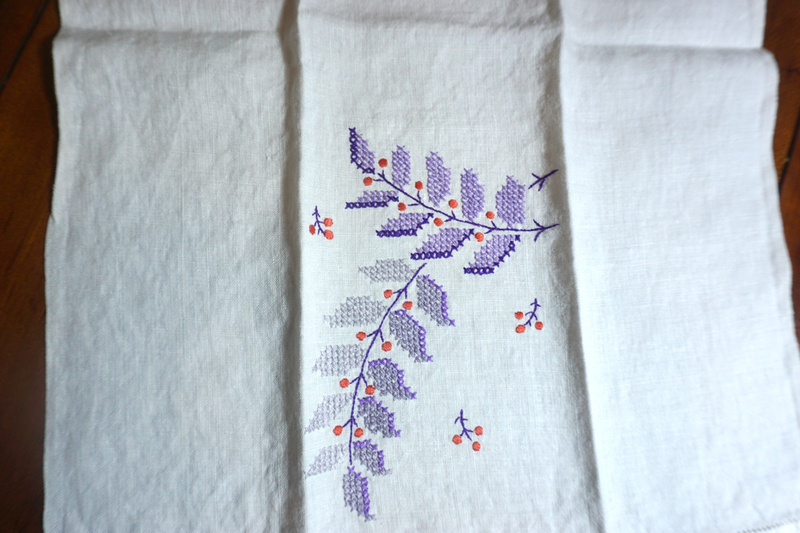 Hand embroidered & cross stitched leaves in shades of gray, lavender and purple, accented with orange berries. 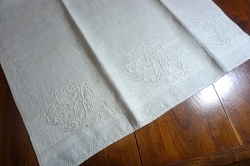 Measures 12"W x 18"L.